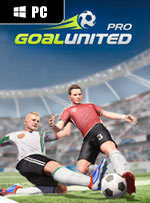 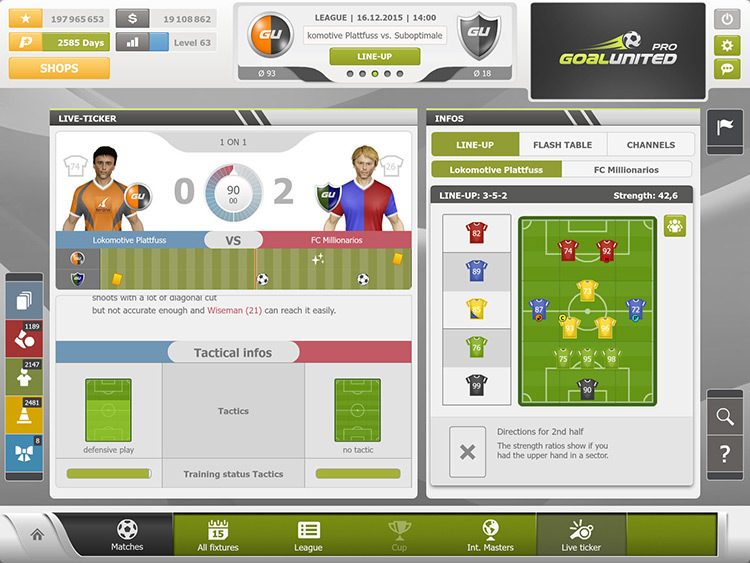 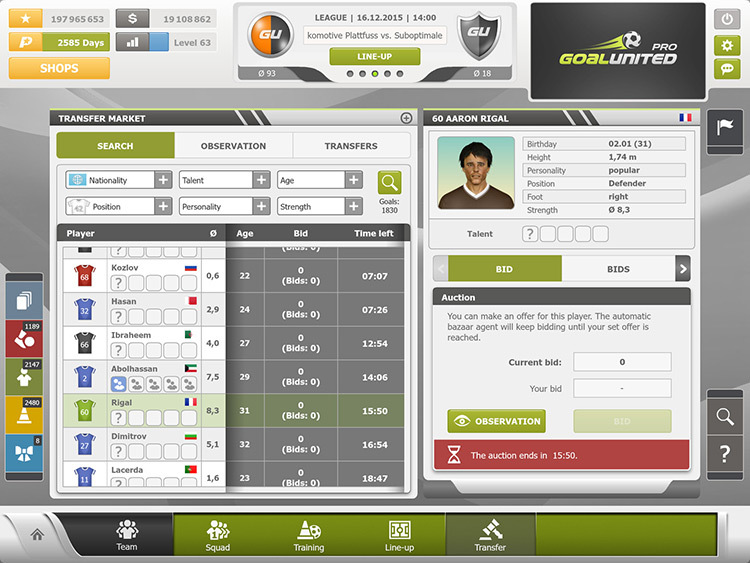 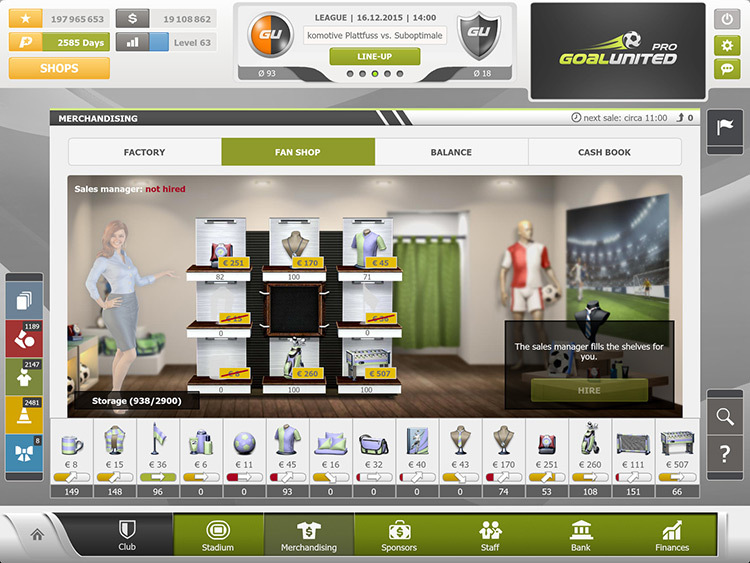 goalunited PRO is an MMO football management simulation with unique gaming depth and impressive realism. 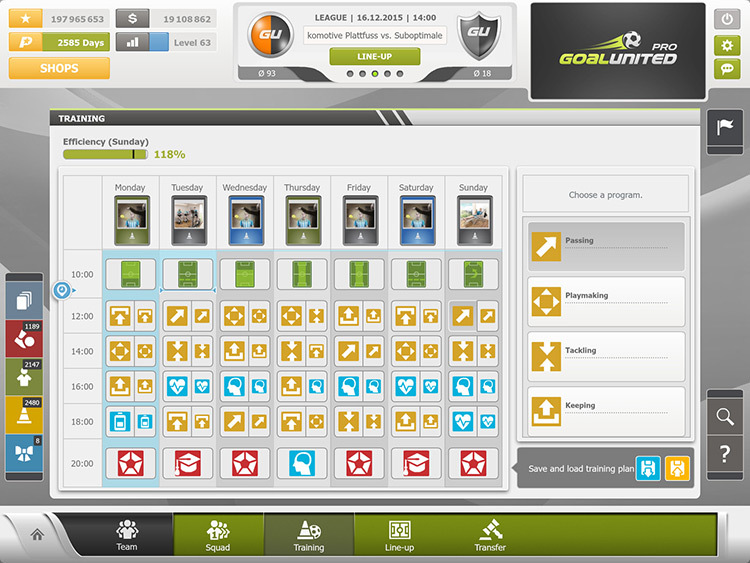 No other management game offers such a long-time motivation. 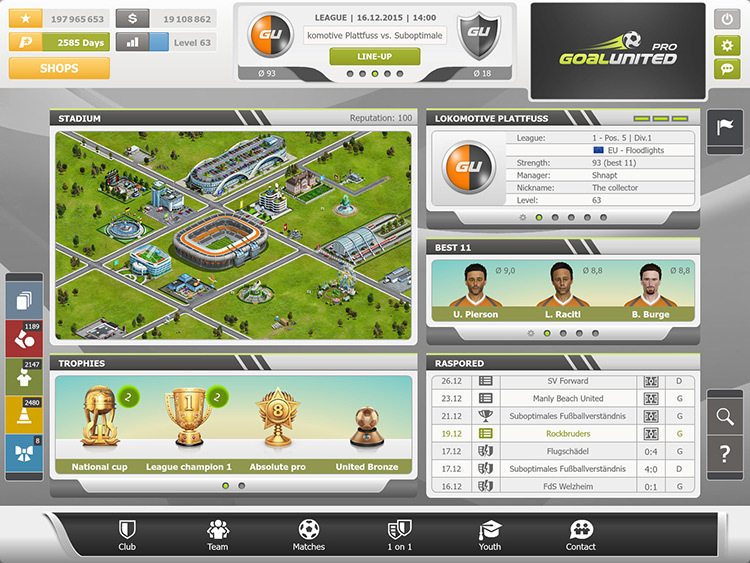 Squad, stadium complex and your team's matches; There are plenty of challenges that you have to master.